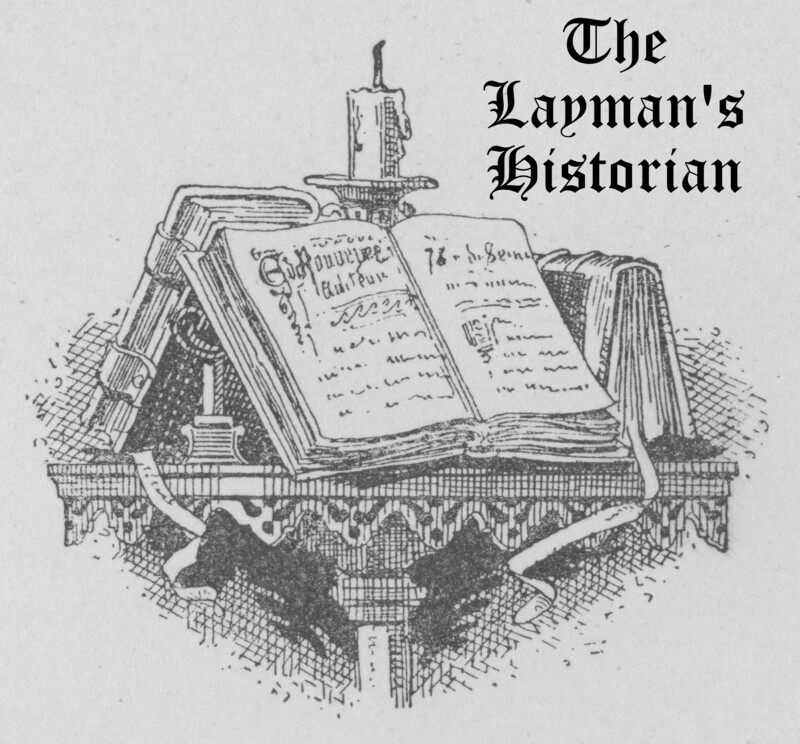 The Layman’s Historian is a podcast about interesting periods of history that a layman would appreciate. My first series covers the history of Carthage including the three Punic Wars between Carthage and Rome. In the wake of the Truceless War, the Carthaginians struggled to pick up the pieces of their broken country. Financially exhausted from the toll of the First Punic War, the huge war indemnity still owing to Rome, and the devastation of Carthage’s heartland by the rebel mercenaries during the Truceless War, the future looked dire for most if not all of Carthage's common citizens. Faced with the ruin of their livelihoods, these citizens banded around Hamilcar Barca and his son-in-law Hasdrubal, empowering the Barcids to pass a number of constitutional reforms which strengthened the people's voice in Carthage at the expense of the oligarchs. With the internal reforms well under way, Hamilcar turned his eyes towards the resources of Spain as the means to build up a new power base in preparation for a second struggle with Rome. When he left Carthage in 237 BC, his nine-year-old son Hannibal accompanied him, embarking on the mission of vengeance which would dominate the rest of his life. The murder of Gisco precipitated an escalation of the Truceless War. Both sides invented new ways to torture and slaughter their prisoners, with the mercenaries continuing to brutalize Carthaginian captives while Hamilcar threw his any rebels who fell into his hands to his elephants to be trampled to death. Worse news arrived when mercenary troops tasked with holding Sardinia revolted in a bid to seize control of the island, and matters spiraled further out of control when the force sent to put down this rebellion crucified their commander before joining with the rebels. Only the overseas support from Rome and Syracuse allowed Carthage to continue the fight. Thanks to Hamilcar's war of attrition and skillful maneuvering, the rebels soon found themselves on the back foot despite their superior numbers. All that remained for Hamilcar was to finish the grim task set before him. In the wake of the First Punic War, Carthage soon found the loss of her Sicilian holdings and Rome's harsh indemnity to be the least of her problems. Nearly bankrupt after twenty-four years of continuous warfare, she could not afford to pay her mercenary army which was returning from Sicily. The crisis was further compounded by the blundering efforts of the Carthaginian leaders to defuse the situation, and what began as a pay dispute suddenly exploded into full-scale rebellion. What followed was a war which shocked even the Ancients with the brutality and savagery with which it was fought. A war without respite, without rules, and without mercy. A Truceless War. With both Rome and Carthage exhausted by the constant strain of war, the Carthaginians dispatched the young Hamilcar Barca to take over a much-depleted command in Sicily. While Hanno the Great insisted on demobilizing the Carthaginian war fleet to save money and opened up new fronts against the Numidians in the African interior, Hamilcar led his meager army deep into enemy territory to conduct a guerrilla campaign against the Romans. Hamilcar would face a succession of Roman commanders, all of whom failed to dislodge him from the mountain strongholds he held in central Sicily. However, the war would be decided without him. The Romans managed to muster a final fleet thanks to private donations from her patriotic citizens, and in 241 BC, this new navy under the Consul Lutatius smashed a hastily raised Carthaginian fleet. Cut off from his homeland, Hamilcar was forced to enter into negotiations for peace. Carthage received stern terms which included an enormous war indemnity of 3,200 talents. With the ratification of the treaty, Hamilcar Barca and the last of the Carthaginian troops descended from the mountains and sailed home. Carthaginian Sicily was no more. Following the Battle of Tunis, the Carthaginians felt supremely confident in their newly revamped land forces and rebuilt navy. That confidence did not last, however. The Roman relief fleet sent to retrieve the survivors of Regulus' failed expedition trounced Carthage's war fleet once again, right before it was also destroyed in a cataclysmic storm. The next eight years saw the fortunes of each side vacillate back and forth with the Romans winning the Battle of Panormus by effectively countering the Carthaginian war elephants while the Carthaginian Admiral Adherbal managed to score Carthage's only significant naval victory of the war. Gridlock ensued, but the tedium of military stalemate would soon be relieved by a lightning bolt of a commander who would single-handedly seek to turn the war in Carthage's favor and save Carthaginian Sicily. Oh, and this episode also covers a dragon, so there's that. With Carthage on the ropes after the Battle of Cape Ecnomus, the Romans landed on the Cape Bon Peninsula, a mere forty miles from Carthage, and began ravaging the rich countryside. Confident of victory, Regulus, the Roman consul in command, offered such harsh terms to the Carthaginians that they chose to continue fighting rather than submit to such a humiliating peace. All seemed lost until Xanthippus, a Spartan mercenary soldier who had recently arrived in Carthage, advised the Carthaginian generals of their mistakes and was subsequently promoted to drill the Carthaginian levies in Spartan fashion. Under his strict regime, the Carthaginian army was transformed overnight, and Xanthippus led them to battle against the Romans at Tunis. At the Battle of Tunis, the Carthaginians under Xanthippus inflicted a spectacular defeat on the Roman legionaries by using their new training, their superior cavalry, and their large corps of war elephants. Five hundred Romans, including Regulus, were captured, and only two thousand made their escape, leaving over twelve thousand Roman legionaries dead on the field. With their victory in Africa, Carthage was reinvigorated to fight another day. The First Punic War would continue. Bolstered by their early successes with their new battle fleet, the Romans determined to gamble everything for a decisive "killing blow" in order to bring Carthage to her knees. Equipping a massive armada, the Romans sailed to invade North Africa itself in an attempt to defeat Carthage on her home soil. However, a newly revamped Carthaginian fleet lay in wait to intercept the Romans near Ecnomus in southern Sicily. The resulting clash would go down as perhaps the largest naval battle of all time. Having drifted into the First Punic War, Rome and Carthage both marshaled their forces and shipped them to Sicily. The Carthaginians sought to establish the city of Acragas as their base of operations due to its strategic location in southern Sicily and proximity to Roman-controlled territory. Similarly, the Romans besieged Acragas to cut off the Carthaginians from this vital port. Under Hanno, a Carthaginian relief army complete with sixty elephants met the Roman legions in a full-scale battle which resulted in a costly Roman victory. As the Carthaginians retreated westward, the Roman Senate realized that Rome now had the opportunity to wrest Sicily from Carthage forever. Before she could do that, however, Rome would have to challenge Carthage on her own element: the Mediterranean Sea. The day has arrived. After Pyrrhus's retreat from Italy in 275 BC, Carthage and Rome found themselves to be new neighbors with only a two mile stretch of water in the Strait of Messina separating them from each other. Although it is debatable whether the First Punic War was inevitable, its causes were rooted in many things, including the Romans’ belief that they stood alongside the Greeks against the barbarian world and its inhabitants such as Carthage as well as political rivalry and fear. Sparked by a local quarrel between Syracuse and the Mamertines, a group of rogue mercenaries who had seized control of the city of Messana, the First Punic War escalated from a regional skirmish into a full-scale conflict which would become one of the longest and costliest wars of Antiquity.